This weekend's inspiration comes in the form of some fabulous layouts and beyond the page items using Queen & Co products. 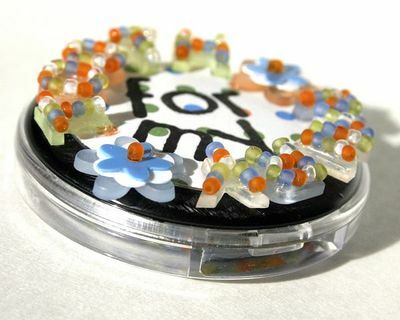 Suz Doyle created this layout showing that beads can be for boys too. 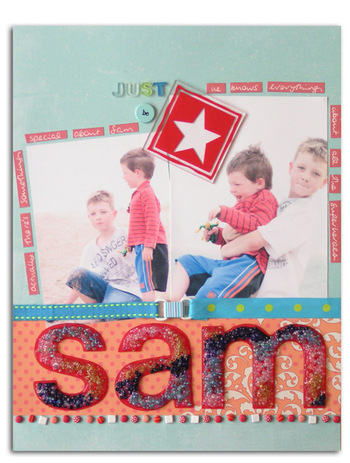 This layout celebrates a friendship between her son and an older friends son. "There's something special about Sam." Alex told her one day. "He knows everything about all the superhero". 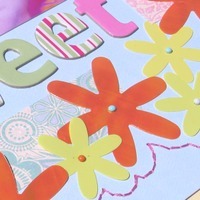 Suz has covered Heidi Swapp red ghost letters in striped coloured beads from the Make Waves and You Go Girl colour ranges, and had some fun with Alpha Bettys, Hook Ups and brads to embellish her page. The Queen and Co products used on this layout (Fontastics Scrap in the City colourful chipboard letters, Hottie Fab Flowers and Pinky Swear Mini Sprinkles) were a perfect combination for Mel to use with the Heidi Swapp Gypsy Romani patterned papers. 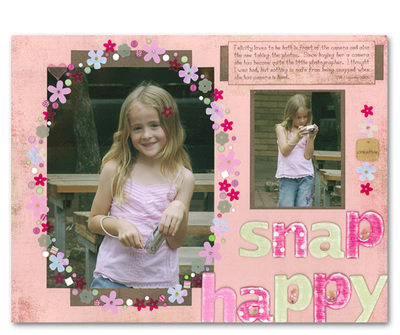 Adding a splash of flowers combined with hot pink hand stitching finishes off the page perfectly. 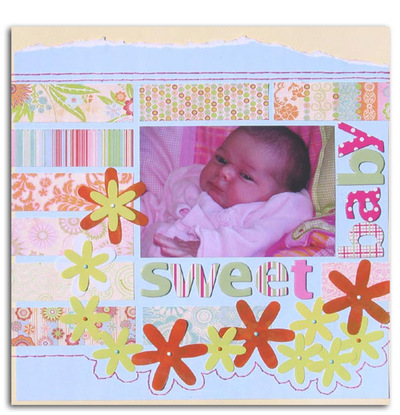 This layout comes from home grown talent Tracy Wyldman who has made delicious use of the Scrap in the City range of pinks and greens. The very bright Fontastics have been toned down to work with her photos with just a couple of rubs of sandpaper and we love the frame she's made with the Fab Flowers and brads. 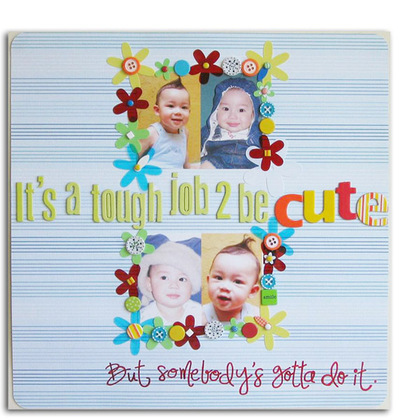 It is a tough job to be as cute as this layout we thought! Michelle Tan created this using Hottie Fontastics and a range of Fab Flowers and Bon Bon Brads and some very very cute photos! We love the way the embellishments 'frame' all four photos to visually unify them. Check out these though for proof that Queen & Co is so much more than just the product inside the packaging. 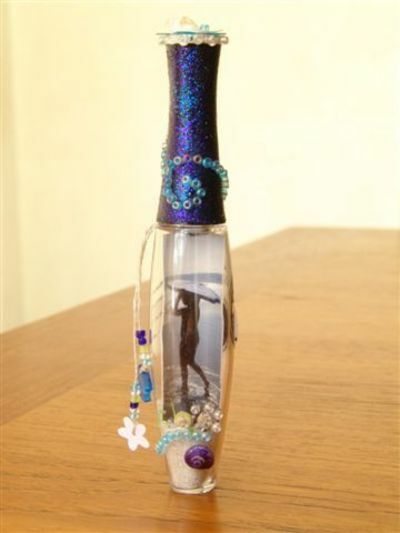 Johanna Peterson altered this empty Beadifuls bottle and turned it into an amazing memory, complete with sand, shells, photo and beads. 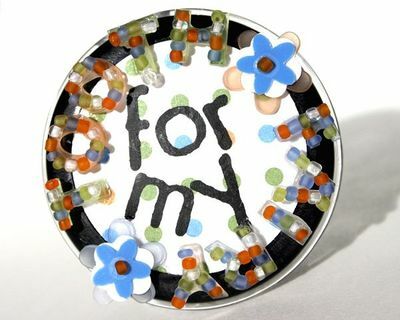 It's both beautiful and innovative and we thank Johanna for allowing us to share it here. and Wendy Reed has turned this empty Queen & Co container into the sweetest little tooth fairy box using Alpha Bettys, flowers, beadifuls and a great imagination. How delighted would a little one be to exchange teeth for coins in this little box. Thanks Wendy for this wonderful idea.